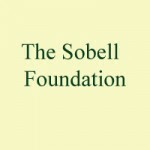 We are thrilled to bring in the New Year with a generous grant from The Sobell Foundation. This grant, over the next three years, will enable our Skills Coach to support our young adults to complete their training and Apprenticeships, reaching the required levels of competency in Maths and English, and gaining the qualifications they deserve. A huge thankyou to the Trustees for your wonderful support.